Turin, known for its elegant architecture and refined cuisine, is the “Paris of Italy”. With a population of over 870 000, it gives you the wonderful opportunity for a magical holiday experience. Turin offers you its wealth of history and breath-taking views of the Alps. The city’s leading attractions include Museo Egizio, Mole Antonelliana, and Piazza Castello. Get ready to fall in love with this beautiful destination, because cheap flights to Turin are now available for a limited time! 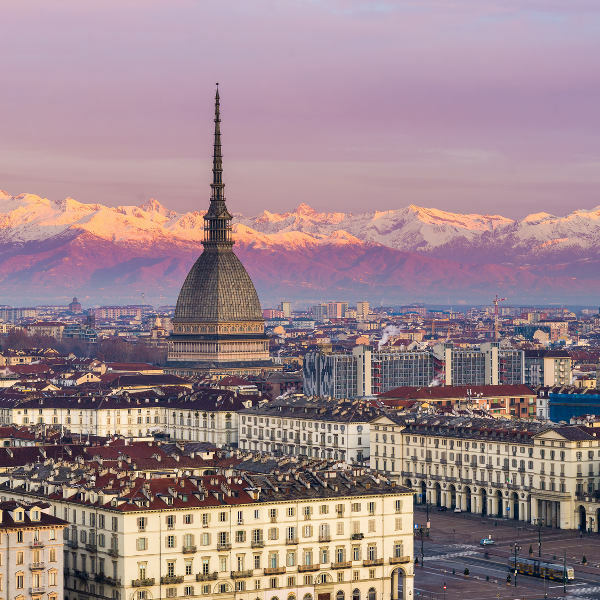 Turin is the home of Turin Airport (TRN), which is a 25-minute drive or a scenic 55-minute train ride to the city centre. In Turin, a wealth of historic buildings and streets is waiting to be discovered, including the Basilica di Superga, Palazzo Reale and Villa della Regina. 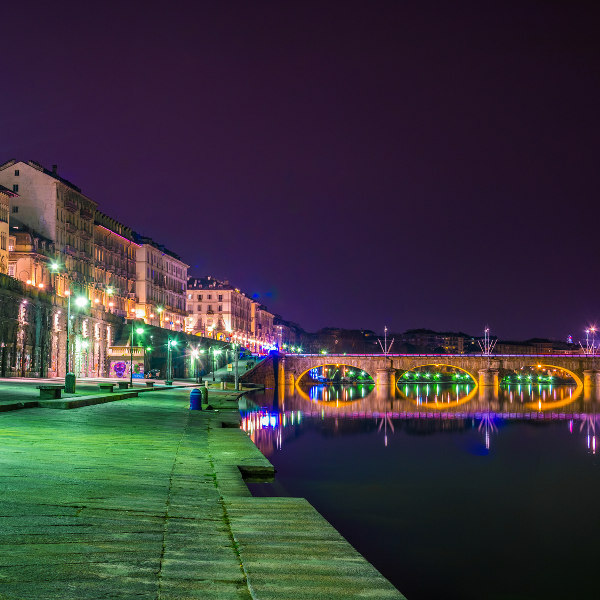 The streets of Turin light up at night, showcasing yet another side to the Italian destination’s beauty. Enjoy the exciting party scene at venues such as Smile Tree and Clorophilla. Due to its location, Turin offers amazing views of the Alps and the Po River. Treat yourself to such sights while exploring the capital of the Piedmont region. Turin has a moderate climate, with warm summers and cold winters, and variable levels of rainfall throughout the year. Summer (June – August) brings warm temperatures (low to mid-20s) and moderate to high rainfall (August being the wettest month at 80mm). Early autumn (September) offers temperatures around the low 20s, with rainfall around 40mm, which makes it a good time to visit if you want to skip the usual influx of tourists and higher accommodation costs. Rainfall is at its lowest in the winter months (November – February), but it’s also the coldest time of the year, with the highest average temperature of 9°C. 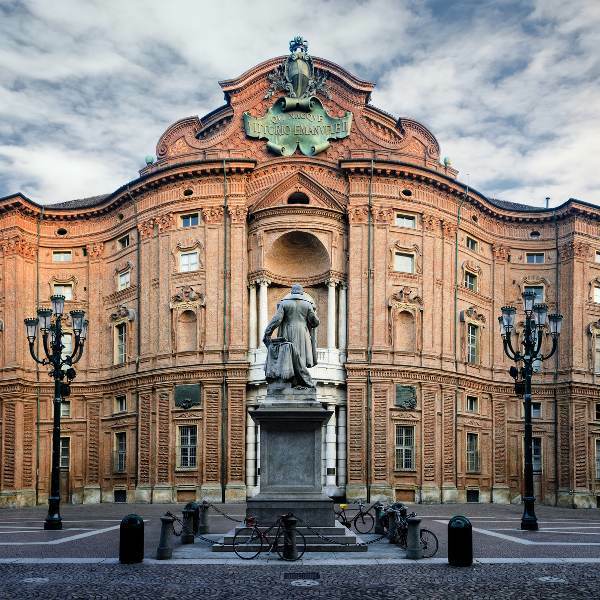 The historic city of Turin is a wonderful destination to visit in the gorgeous country of Italy. Boasting a rich past that dates back to the year 28 BC, you can discover Roman streets, and baroque, rococo, neoclassical and Art Nouveau architecture. This stylish setting includes sophisticated boulevards, well-tended gardens and magnificent palaces, with one of the most famous ancient attractions being the Shroud of Turin, which many believe to be the actual fabric that covered Jesus Christ after his crucifixion. Make sure to explore Turin’s splendid mansions and majestic churches, as well as dine out in style at one of the many scintillating restaurants. When you’re up for exploring again, you should definitely take a walk through Carmagnola and peruse the stalls at Mercato di Porta Palazzo. Compare several airlines, and book your cheap flights to Turin online at Travelstart! Practise basic common sense while you enjoy your time in Turin. Keep your valuables in a secure place and out of sight. Make sure to avoid crime hotspots like the train station at Porta Nuova (even during the day), and the San Salvario neighbourhood. In addition, beware of the smaller streets near Porta Palazzo. It would be wise to get all the routine vaccinations four to six weeks before your departure date. You may additionally need vaccines for hepatitis A, hepatitis B, and rabies, depending on what you do and where you go in Turin.